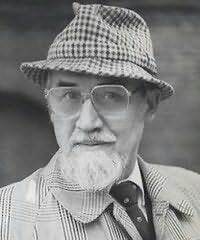 John Franklin Broxholme (born June 11, 1930 Bradford, died June 2001) is an English thriller writer who published fifteen novels in a little over twenty years (1971-1993) using the pen name of Duncan Kyle. Reminiscent of the work of Desmond Bagley, Kyle's books typically involve a tough, resourceful individual who unexpectedly becomes involved in danger and intrigue in an exotic setting. A Cage of Ice, for example, involves a London physician who accompanies a hand-picked team of adventurers on a snowmobile journey across the Arctic to rescue a defecting Soviet scientist. Green River High follows another group of adventurers into the jungles of Borneo in search of a plane that crashed there during World War II. Kyle's novels are, like those of Bagley and Alistair MacLean, stronger on plot and setting than on characterization. They are invariably well-crafted, however, and two--The King's Commissar and The Dancing Men--are classics of the historical fiction and historical detective story genres, respectively.